8,158 others viewed this post. 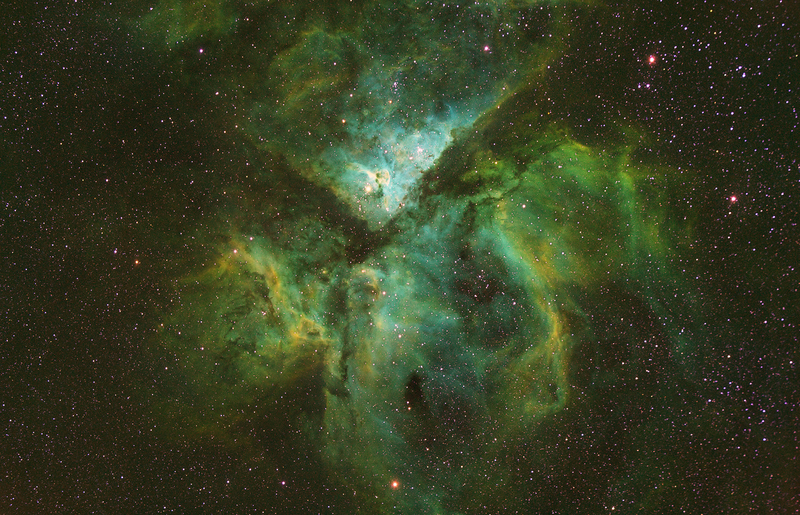 The Keyhole in the Great Carina Nebula – In the upper bright region pictured here is a small human foetus shaped blob. What you are looking at though is a huge explosive outburst that begun in our skies 175 years ago. Before 1841 this blob just looked like a bright star, but in that year it suddenly became so bright in the sky, it was the second brightest star after Sirius. This bipolar blob has been growing outwards ever since, though the light has faded over the decades. This is a good example of how dynamic space is, and over time these deep space objects are bubbling, rippling and seething. We don’t perceive this movement because we are small by comparison physically and chronologically. 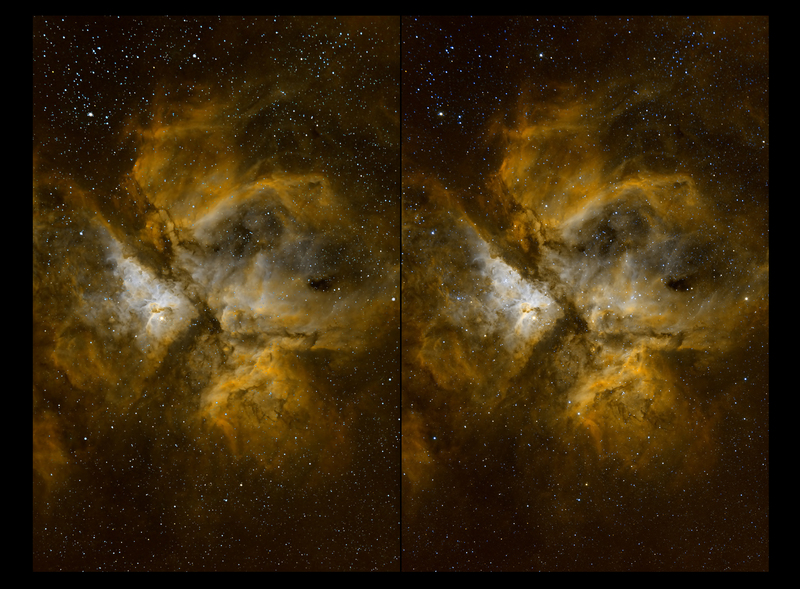 The Great Carina Nebula that contains this region is one of my favourite nebulas to image, it’s so big, bright and relatively close which makes it fairly easy. Photographed last night in narrowband using the Hubble Space Telescope Palette (S2R/HaG/O2B – 12 x 3m each channel : Total 108m). Celestron 9.25″ Edge HD w/ Hyperstar. Post Processing in PixInsight & Photoshop. BONUS : 3D Bicolour Version!